When working with homeowners to plan exterior restoration projects, Heritage staff is often discussing how to best undergo the project with a preservation approach. Preservationists commonly look to repair, rather than replace, as the first course of action. Not only does this preserve the original building materials and embodied energy, it is often the least expensive approach. However, there are times that it does not make sense to repair original materials and then we must advise on the best replacements. It is safe to assume that replacing material “in kind” or with the same type of product will almost always be approved. But, there are times when a newer building material can meet our preservation guidelines but provide the homeowner with a longer lasting repair job. The cost to use newer products is sometimes higher, but pays for itself in the long run with less maintenance over the lifetime of the material. 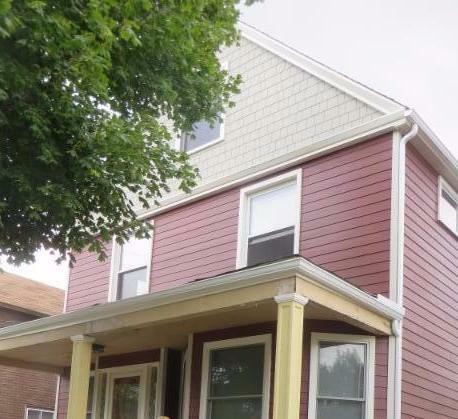 The house above was sided with Hardie Board fiber cement siding for both the red lap and grey shake shingle in the peak. 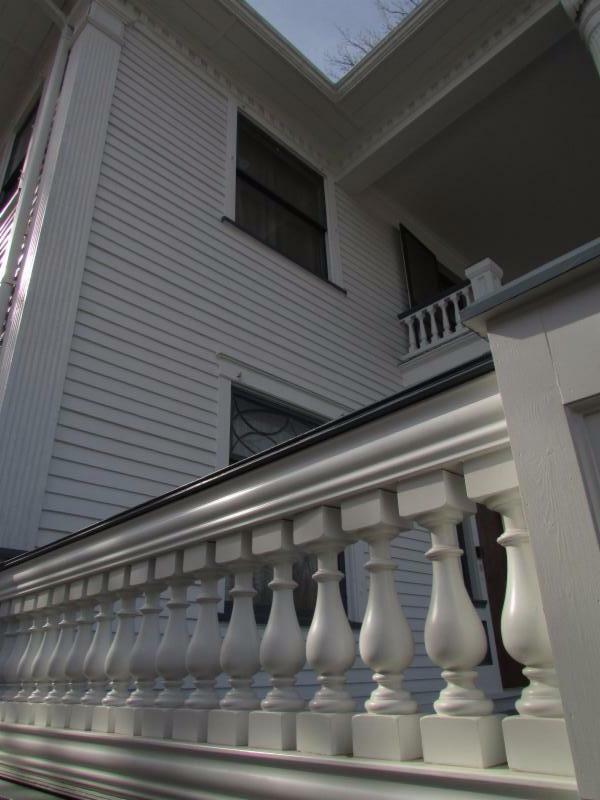 Most of the original spindles on the porch above were missing but the few that remained served as a template for these fiber glass replacements.